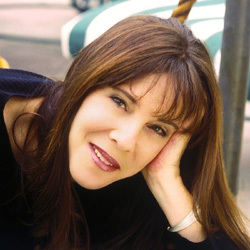 Amy Ephron, yes, that Ephron family, is the next author to speak at Eduardo Santiago’s Idyllwild Authors Series. She is the author of bestsellers “One Sunday Morning,” and “A Cup of Tea” that spent 37 weeks on the Los Angeles Times Bestseller list. 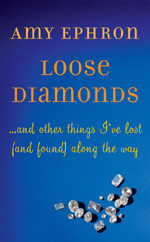 Santiago will interview Ephron about her new collection of stories, “Loose Diamonds, and other things I’ve lost [and found] along the way,” (Harper Collins 2011) at 2 p.m., Sunday, June 10 at the INK Bookstore on North Circle. Ephron has a new blog, “L.A. P.O.V.” for the New York Times magazine. One of Ephron’s stories from “Loose Diamonds,” “Champagne By the Case,” a compact, wry and wistful take on 1970s Los Angeles, is posted on the blog. It’s a short introductory read for anyone who has not before sampled Ephron and for any planning to attend her Idyllwild appearance. And it is not surprising that she is both interesting and interested in many things having grown up around her parents’ dinner table with its brilliantly literate and topical conversations. “They taught us how to tell stories, how to observe. We used to read poetry at the dining room table,” Ephron remembered. Ephron said that writing screenplays, a visual medium, has informed and enriched her book writing with its emphases on details of color, place and appearance. Asked what kind of author she characterized herself as, she said, “I think of myself as a period writer.” Ephron finds history illuminating for reasons of parallels with today. Many of Ephron’s books are set in pregnant periods of historical interest, World War I, flapper pre-stock market crash New York and Cuba around the time of the Spanish American War. “I tailor the language to the time,” she said. But then she went on to say that all times are “periods” with particular definers and markers that distinguish them and give them character and flavor. Her Idyllwild appearance promises to be one for the table, a rich and finely prepared and presented pastiche of Ephron’s life, points of view and experiences.